In April, the Third District Court of Appeal answered a hotly debated question related to premises liability. The court’s decision in Kenz v. Miami-Dade County determined that section 768.0755, Florida Statutes, could be applied retroactively.1 What’s the big deal? 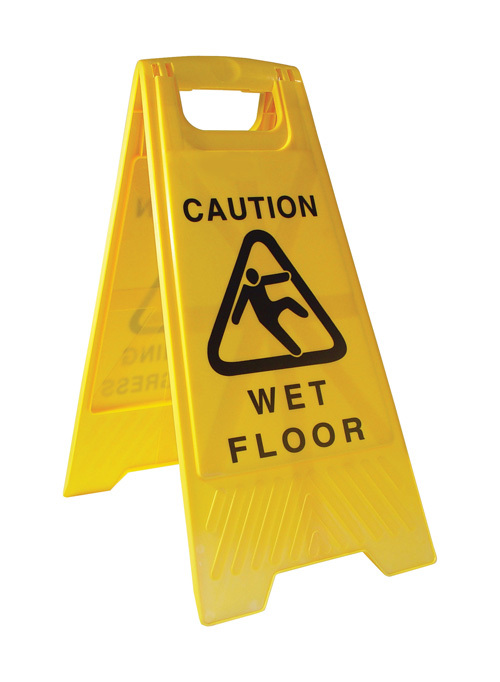 The big deal is that the burden of proof in slip-and-fall cases, where the slip and fall is alleged to be due to a transitory substance on the floor or ground, reverts back to the days before the section’s predecessor statute was enacted, and that burden now falls squarely upon the plaintiff for any all cases presently pending in Florida trial courts. As a result, a greater likelihood now exists for a defendant in a slip-and-fall case to be successful in having summary judgment entered in its favor. Let’s look at the history of transitory substance slip-and-fall cases in Florida. Before 2001, the burden of proof in this sort of case was on the plaintiff. But in 2001, the Florida Supreme Court in Owens v. Publix Supermarkets, Inc., placed the burden on the shoulders of the premises owner or operator to establish that it exercised reasonable care under the circumstances presented in the case2. The Legislature then enacted section 768.0710, Florida Statutes (2002), shifting the burden to the plaintiff to prove that the defendant “acted negligently by failing to exercise reasonable care in the maintenance, inspection, repair, warning, or mode of operation of the business premises3.” Under the statute, “[a]ctual or constructive notice” of water or other transitory substance was “not a required element of proof,” but “evidence of notice or lack of notice offered by any party [was to] be considered together with all of the evidence” to determine whether the plaintiff met the burden of proof4. So, under Owens, a defendant was required to affirmatively prove its reasonable care; while under section 768.0710 affirmative proof was not required of the defendant, but summary judgment in favor of a defendant was almost an impossibility. As soon as section 768.0755 became effective, the battle started in the trial courts as to whether section 768.0710 or section 768.0755 applied to causes of action accruing before the July 1, 2010, effective date of the new statute. Plaintiffs argued that the statute’s effect was substantive in nature, in that it required a new and additional burden of proof. Thus, they argued, the substantive nature of the statute required that it be applied prospectively only. Defendants, on the other hand, argued that the statute’s effect was purely procedural in that it simply shifted the burden of proof to the plaintiff. Thus, the defendants argued that the statute must be applied retroactively7. Whether the Third District Court of Appeal’s sister districts will conclude similarly remains an open question. But for now, the trial courts of this state are required to retroactively apply section 768.0755, and summary judgment in favor of the defendant in a transitory substance slip-and-fall case has become much more of a possibility. 1 Kenz v. Miami-Dade County, No. 3D12-571, 38 Fla. L. Weekly D922 (Fla. 3d DCA Apr. 24, 2013). At the time this article was written, the appellants in Kenz had moved for rehearing and for rehearing en banc. The court’s opinion is therefore not yet final. 2 Owens v. Publix Supermarkets, Inc., 802 So. 2d 315, 331 (Fla. 2001). See also Delgado v. Laundromax, 65 So. 3d 1087, 1089 (Fla. 3d DCA 2011). 3 § 768.0710, Fla. Stat. 4 § 768.0710(2)(b), Fla Stat. 5 § 768.0755(1), Fla. Stat. 6 § 768.0755(1)(a)-(b), Fla. Stat. 7 When conducting a retroactivity analysis, one of the first “key considerations” is to determine whether the change constitutes a procedural/remedial change or is a substantive change in the law. Generally, courts retroactively apply only remedial statutes, which do not create new rights or take away vested rights but operate only in furtherance of the remedy already existing. If the law constitutes a substantive change, either by creating new rights or taking away vested rights, there is a presumption against the retroactive application of the change in law unless the Legislature has expressly stated to the contrary. Florida Hosp. Waterman, Inc. v. Buster, 984 So. 2d 478, 496 (Fla. 2008). 8 Pardo v. State, 596 So. 2d 665, 666 (Fla. 1992) (finding that in the absence of inter-district conflict or contrary precedent for the supreme court, the decision of a district court of appeal is binding throughout Florida). 9 2013 WL 1748954, at *2.